Most people who end up on the tax defaulters list didn't plan to run up an extremely high tax bill and default; they failed to plan their business and financial matters to ensure that they could meet their obligations and have a successful business. This is an extreme, but too common, case. You can avoid "business disaster": unexpected costs, penalties and even legal action, along with embarrassment and harm to your brand; through proper Business Planning. Such planning ensures you not only avoid disaster but maximise the success of your business by identifying ways to increase your profits and take action in advance to minimise and manage upcoming expenses. 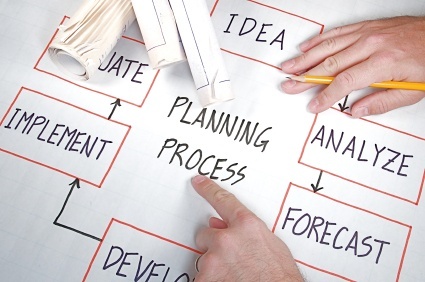 We provide Business Planning services for our clients in order to provide such a review with an expert eye. You may feel that you are too busy with the day to day running of the business or that you do not have up to date knowledge on what is legally required of your business. We have the experience to advise on how to get the best results for your business and it is our job to be up on the latest in Irish company law and how to work with state bodies like the Companies Registration Office and the Revenue Commissioners. We identified an exemption from having a section 43 insurance policy for a company that is based in the US and has set up its EMEA headquarters in Ireland. As they were now well established in Ireland, we got their exemption approved and they were happy as it saved them €1,800 every two years. Directors loans are generally illegal, subject to some exceptions, so care has to be taken in this area. After we identified an illegal loan made to a connected company by a client, we carried out a damage limitation exercise so that there were no financial penalties imposed and ultimately no legal action taken by O.D.C.E. (Office of Director for Corporate Enforcement). You may remember that an 'honest mistake' like this was one of the things that harmed the leading candidate's bid for the Irish Presidency in 2011. Dividends cannot be paid free of dividend withholding tax until exemption is in place. This is relevant for foreign owners but the exemption has to be approved before the dividend has been paid. We have identified foreign owned clients paying dividends and omitting to pay the withholding tax over. This is a nasty surprise when it has not been budgeted for, as the tax amounts to 25% of the net cash dividend. Late filing fees imposed by the C.R.O. (Companies Registration Office) are automatic and increase on a daily basis up to a maximum late fee of € 1,200. We act for many limited companies and are diligent in ensuring we do everything needed to ensure they always file their annual financial accounts on time. See how YOU can and avoid disaster and maximise your success!